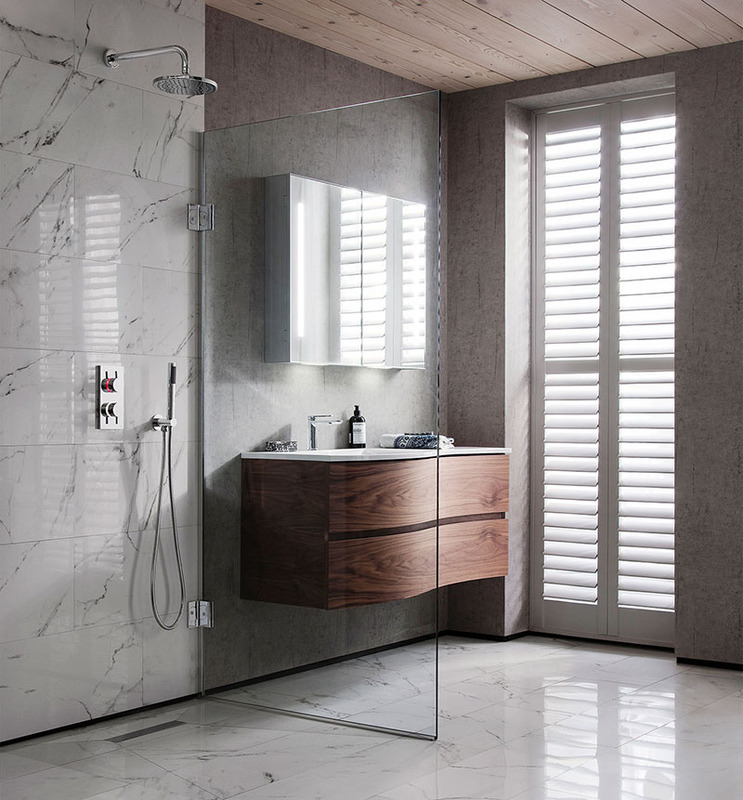 A truly timeless trend, marble finishes are set to remain integral to interior design schemes throughout 2017 and we love how the stunning stone transforms spaces into luxury bathroom havens! Read on to discover how to get the look in your home! 1. 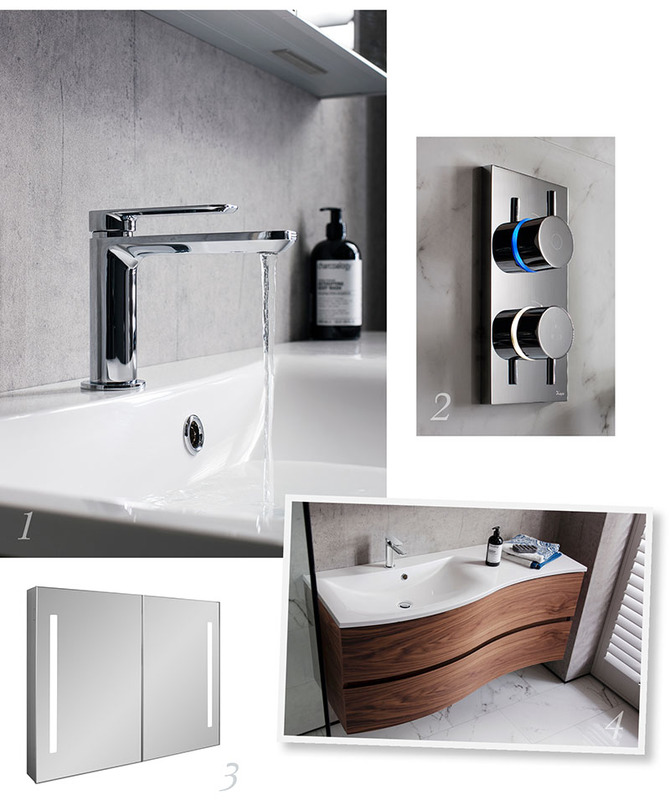 Complete the look by adding a designer element to your bathroom with our beautiful Pier Basin Monobloc Tap. 2. Merge style with technology and incorporate our innovative Kai Digital shower range, ideal for updating both contemporary bathrooms. 3. The Bauhaus Allure 900 Mirrored Cabinet is a sleek storage solution, perfect for hiding all your bathroom essentials! 4. The perfect way to mix and match textures, Bauhaus’ Svelte 120 Unit looks great in the ever-popular American Walnut finish. Keep it simple with a clear walk-in glass shower panel.